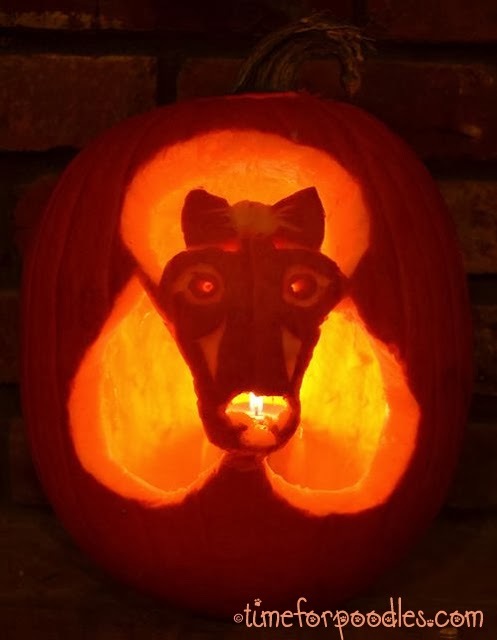 A couple of years ago I found a Better Homes And Garden Internet site that had 24 different pattern stencils for carving pumpkins to look like certain dog breeds. Not all breeds are represented. Fortunately, a Poodle was one of those that were. There are also carving suggestions, which are very helpful. For this year, I was planning to do a pumpkin that looked like our Penny, who is a Pitt mix (this is the link). I had a disappointment when I found that there was not a stencil for her. I have decided to change that. 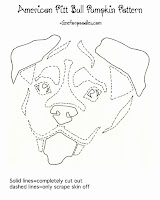 I have made a stencil for the American Pitt Bull. I am going to get my pumpkin today, carve it, and then blog the pumpkin along with the FREE stencil for anyone who wants to use it. Stay tuned! And Happy Pumpkin Carving! You did a great job!! I need two pumpkins - a golden retriever and a min pin! I would need four but only do one a year. 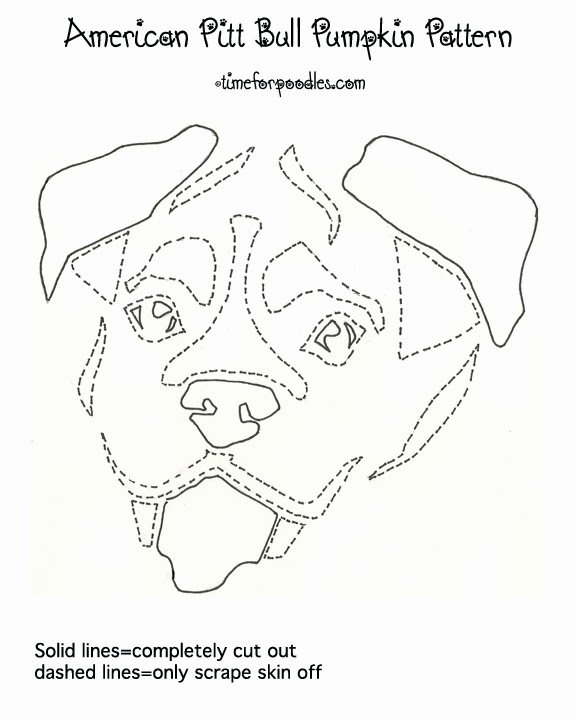 I would also have to draw a design for Dylan-there would never be a Mountain Fiest pumpkin pattern. Poodles and Labs they have and I have taken care of the Pitties! This looks great. Never seen it before...very nice! Thanks, and thank you for stopping by and commenting! 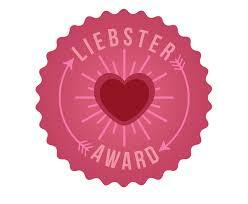 I am glad you can use it and it is nice to hear from someone on this blog. I am afraid that I've haven't been active on it lately. In fact, I've moved the whole blog to a wordpress.com which is https://poodletime.wordpress.com/. Thank you for leaving a comment. It's nice to hear from someone. I omitted my email address in the above comment.